The Council of Science Editors held its fourth annual poster session during the 2011 annual meeting in Baltimore, Maryland. Abstracts underwent blinded review, and the five abstracts reprinted below were presented at the meeting as posters. These abstracts cover research in the areas of conflicts of interest, editing, editorial office management and systems, peer review, and scientific misconduct. Background: Topic- or research-specific journals have increased in number in recent years. We sought to investigate four journals related to the field of trauma surgery and to study their publication tendencies with regard to their editorial staff. We hypothesized that the editorial staff of the journals were more likely to publish in their own journal compared with other scientific journals in the same field. We further hypothesized that this trend would decrease as the journal’s impact factor increased. Methods: The PubMed database was used to research articles that were published by four journals (two of lower impact factors [Journals A, B] and two of higher impact factors [Journals C, D]) related to the field of trauma surgery. A list of publications between 2009 and 2010 was generated for the editorial staff (editor-in-chief, associate/senior editors, and section editors if listed) for each journal. A database was created in Excel containing the documented information from PubMed (title, author order, journal, date, publication type, PMID) for each article published by the editorial staff. Results: Journal A had an impact factor of 2.6 and published 1399 articles. Of the total staff (22 members), 16 (72.7%) authored 130 (9.3%) of Journal A’s articles. The editorial staff of Journal A authored 456 articles, 28.5% of which were published within Journal A. Journal B had an impact factor of 2.9 and published 449 articles. Fifty-nine (13.1%) of these articles included 1 of 14 members of the editorial staff (16 total) of Journal B. The editorial staff of Journal B published 448 articles; thus, the percentage published within the journal was 13.2%. Journal C had an impact factor of 6.4 and published 1411 articles between 2009 and 2010. Thirteen members (76.5%) of the editorial staff (total of 17 people) authored 63 (4.5%) of Journal C’s articles. The editorial staff authored a total of 350 journal articles, 18.0% of which were published in Journal C. Journal D had an impact factor of 7.9 and published 801 articles between 2009 and 2010. Six members (37.5%) of the editorial staff (total of 16 people) authored 13 (1.6%) of Journal D’s articles. The entire editorial staff authored a total of 140 articles in peer-reviewed journals, 9.3% of which were published in Journal D.
Conclusion: Researchers were not more likely to publish in the journal they edited. In fact, they were more likely to publish in a different journal. However, journals with higher impact factors had a lower overall percentage of articles authored by a member of the editorial staff. In addition, the number of articles published within a journal that is edited by the author when compared with the total number of articles authored by the editorial staff showed no correlation with the impact factor of each journal. In general, editorial staff members are likely to publish at least one article in their own journal (Journals A-C; 72%–87.5%). Does Having a Non-English First Language Hinder Competence in Manuscript Editing? Background: The aim of this study was to determine whether individuals who are proficient in English take significantly longer to become competent English-language manuscript editors if English is not their first language or the language they speak at home. 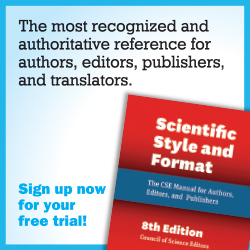 Methods: Our sample included 71 trained editors from Editage, a division of Cactus Communications, an Englishlanguage services company headquartered in India. All editors had passed an English proficiency test before employment. They then underwent a month-long editor-training program, after which their work was reviewed by senior editors until they were deemed competent to edit independently. We used a self-administered survey to classify these editors into two groups depending on whether or not they learned English as their first language and into three groups depending on the language they spoke at home. As an indicator of performance, we considered the average length of time each group took to become competent. Results: Neither the editors’ first language nor the language they spoke at home had a significant effect on the time they took to gain competence. The 41 editors who learned English as their first language took a mean (standard deviation; SD) time of 5.9 (3.5) months to gain competence, whereas the remaining 30 took 6.8 (4.6) months (Welch t test; P = 38). Furthermore, the 24 editors who spoke only English at home took a mean (SD) time of 5.7 (3.5) months, the 15 who did not speak English at home took 6.2 (3.8) months, and the 32 who spoke multiple languages including English took 6.7 (4.4) months (analysis of variance; F = 0.43, df = 2, P = 65). 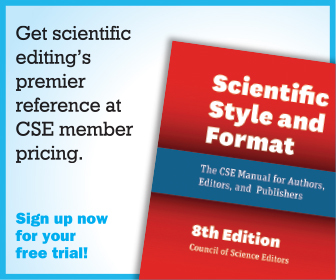 A subset of these editors took the Board of Editors in the Life Sciences (BELS) examination. A comparison of the success rates did not indicate considerable differences according to the editors’ first language or language spoken at home. Conclusion: Given a high proficiency in English and adequate training, editors whose first language was not English—and those who did not speak English at home— did not appear to require more time to gain competence in English-language manuscript editing. Purpose: The study was designed to identify the range of standards adopted by biomedical journals for digital-data images. Methods: We examined the instructions for digital images in a sample of journals. We identified the principal investigators on research grants awarded January 2005–June 2010 to the faculty of eight biomedical departments/centers of the University of Virginia School of Medicine. Using PubMed, we identified the journals in which they had published during 1995–2010. Based on the first 25 journals examined, we defined four categories to describe the range of guidelines and applied them to the entire sample. Results: Overall, 161 principal investigators published in 446 different journals during 1995–2010: 13% of the journals had a clinical focus, 85% focused on sciences basic to medicine, and 1% were “other” (eg, biomedical education, information sciences). Table 1 gives the breakdown for the journals’ guidelines. Discussion: Half the study sample had general or detailed instructions for digital-data images. Standards for appropriate manipulation of digital-data images have developed more slowly than have consensus standards by various disciplines or the software for manipulating the images. Furthermore, postpublication review of images will increase as readers have greater access to the images through mandated repositories or other data sharing. Because digital-data images are increasingly the norm in the biosciences, editors increasingly are filling the gap by adopting general guidelines for such images. Conclusion: Editors should consider digital-data images primarily as data rather than primarily as images (illustrations) and apply to them the requirements developed for all data submitted for publication. Editors could require authors to describe modifications to their images and, if requested, provide their original images and records to allow replication of the modified image. Such requirements are counterparts to the requirements now common for other forms of data. Background: Peer review is a critical part of the editorial process. The actual peer review, the time a manuscript is in the reviewer’s hands, is beyond our control. The process of selecting and confirming reviewers, and providing them with the resources to review, can be managed and optimized. We examined factors in our peer-review process that had an effect on our timeline from January 2009 to February 2010. Methods: Our approach followed the Theory of Constraints1,2. This theory states that the overall efficiency of a process is limited by the throughput of the weakest component. These constraints hinder the overall efficiency of the process. Understanding and improving these constraints should maximize the efficiency of your peer-review process. Reviewer confirmation – Reviewers agreed via e-mail, and staff would forward instructions. Completion of review – The formal completion of a review needed staff validation. We concluded that the most effective way to improve our overall turnaround time was to improve the efficiency of these two constraints. By introducing automation that provided reviewers with instructions and access to the manuscript and by allowing our system to accept a review, we eliminated staff intervention. Results: By streamlining our constraining processes, we eliminated 3 full days from the manuscript-review process. Although the 3-day reduction was directly attributable to the “Review” time, the actual reduction was much larger. Not only did we improve the peer-review time, but we also improved the performance of the overall system. Additionally, we experienced a dramatic reduction in processing times for internal staff. Conclusion: In order to provide our authors, reviewers, and editors with the most efficient process, we must constantly analyze and evaluate the constraining factors involved during peer review. By doing so, we can reduce the lead time to publication, an end result desired by all medical journals. Goldratt EM. Essays on the theory of constraints. Great Barrington (MA): North River Press; 1998. Goldratt EM, Cox J. The goal: a process of ongoing improvement. Barrington (MA): North River Press; 1992. Background: Fraud in medical research has become a national issue in light of several recent unfortunate events. From intentional misrepresentation to outright falsification of data, the incidence of medical fraud is rising. It is incumbent upon publishers, editors, and co-authors to help identify instances of fraud before publication. Failure of publishers and editors to do their due diligence in preventing fraud can lead to serious social, medical, and legal ramifications. Methods: Our group has instituted a series of guidelines to minimize the risk of publishing fraudulent research articles. 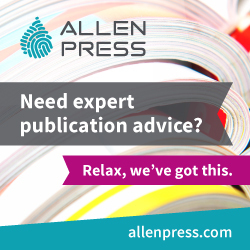 From the time of initial manuscript submission, all authors are involved with the publication process. They are required to individually sign the International Committee of Medical Journal Editors Form for Disclosure of Potential Conflicts of Interest. All authors are apprised of manuscript revisions and must approve the final version before publication. Furthermore, we mandate that the authors of all original-research papers include their primary data with the manuscript. In certain instances, these data undergo predictive analysis to determine whether the original data may have been manufactured. The primary data are distributed to the original authors and published online alongside the paper. To evaluate the effectiveness of this approach, we polled contributing authors via an anonymous survey. Results: Since inception, the Journal of Surgical Radiology has had no cause to retract any articles or issue errata regarding problems with original research. Our survey results indicated that 100% of the authors were satisfied with the peerreview process, 92% agreed that primary data should be included for evaluation alongside all original manuscripts, and 97% agreed that including all authors as part of the publication process improved communication and could help prevent fraud. Conclusion: Fabrication of data and misrepresentation of results have been punished by incarceration and fines. Failure to recognize these breaches of scientific integrity exposes journal publishers and editors to social, medical, and legal risks. By instituting a series of relatively straightforward methods of identifying instances of scientific misconduct, we can reduce the risk of publishing an undesirable manuscript and simultaneously improve our communication with our authors.